6 What About Helping Other People? 8 What Did I Get For My $7 Blog? 9 Will I Scrap My Blog? My main business is TPS (The Perfect Solution) and I have almost 200 people in my team now – so some of them are looking for a quick way to start a blog to advertise their business. Bloggers reading this might expect me to say I’ve built this team by blogging. Sadly, although a couple of my blogging friends have joined me because of my blog, the bitter truth is that blogging has been pretty irrelevant to the growth of my team. It was done the old-fashioned way, by telling a few friends and sharing my results with them – of late, I’ve been posting images etc on Facebook to attract interest…. but that has to be done with caution. So what should I say to my team when they ask me about starting a blog? Sadly, for the time spent writing and maintaining my blog, the results have been minimal. OK, it’s been “interesting” and I’ve met some wonderful people – but for “return on investment”and “return on time spent” – it’s been a disaster, and to be honest I don’t see that changing. There are people in various blogging communities who have advised me – and I’m sure there’s TONS that could be done to make my blog better. But I can’t spare the time to invest in it any more. Having built a team in TPS, my first responsibility now is to help them get the same results I’m getting. And they’re not coming from blogging. So it’s time to move from “recruiting” mode (I only needed 3 upgraded members) to team support mode. But first a little reflection on my blogging. 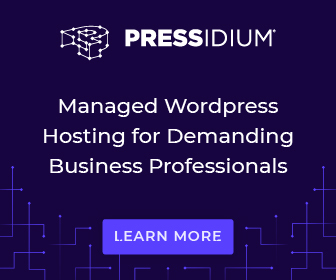 If you want to be a professional blogger, the self-hosted WordPress route, with good professional hosting is the only way to go. I’ve even written arguing against the free blogging route here on this blog – and I still stand by that advice. But I never set out to be a career blogger. I just wanted to make an extra income, part-time, with an online business…. and somehow along the way that got translated into “I must have a blog” to make money online, and that brought many other tasks to go with it. So as a business building tool, blogging hasn’t worked – for me. I know it’s worked for many of my visitors who will be reading this and I congratulate you. But it hasn’t worked for me…. and even worse…. I now feel that it’s taking time away from what I must do – which is support my team and build their businesses. Another quite well known blogger, let’s call him Blogger A, asked me to be interviewed as “A Successful Blogger” – and, do you know, I just couldn’t perpetuate the myth. If a successful blogger is someone who has a “pretty” blog and spends at least a full day a week writing a post, plus promoting it and commenting on other people’s blogs to generate traffic…. then OK, by some definitions I MAY be a successful blogger. However, I went into blogging to make a second income, and blogging is NOT doing that for me, so I’m NOT a successful blogger, according to my own definition of successful blogging for business. I told Blogger A, this and he was still keen to “interview” me. So I said I would only be willing to be interviewed if I could “write my own script” telling the truth about how I really felt about my 4+ years of blogging. He agreed. What About Helping Other People? Of COURSE I still want to help other people. In fact that was actually what triggered this post – my responsibility is to help people in my TPS team. But help them start a blog? When I’ve had such dismal results …. I couldn’t look myself in the face! If people want help with career blogging there are far better sources of help: Donna Merrill provides affordable blog coaching. I’m an admirer, not an affiliate. I can be of better service to my TPS team helping them round the plethora of ready-made, professional marketing materials and free training. Helping my team is showing them what DID work for me. Not perpetuating the myth that blogging had anything to do with running a successful TPS business. So if, despite my blogging experiences, anyone still wants a quick way to start a blog I am pointing them towards the free blog that comes with “Leased Ad Space” advertising (it can cost just $7 for as long as you choose). It’s not all-singing all dancing, and I know all the criticisms that can be levelled at it. Yes, I KNOW it could be gone tomorrow. 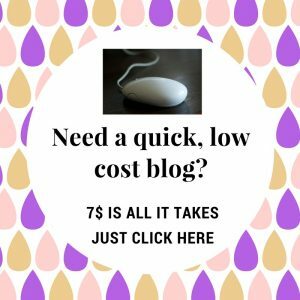 For $7 it’s a throwaway blog. You get what you pay for. Knowing the potential pitfalls, I just won’t invest into it the work and time that’s gone into this blog. What Did I Get For My $7 Blog? On my Leased Ad Space blog I have an About Me Profile and a few blog posts that were quick to set up. I’ll do some more as time permits. Actually the blog is a free give-away added onto the advertising. The $7 is for advertising that got me one of my best TPS team members. I am looking for newcomers to the online marketing arena – hoping to catch them and get them earning before they fall prey to the “gooroos”. Leased Ad Space is getting that traffic, when – on my blog here – I’m NOT. Will I Scrap My Blog? No…. it’s my baby, and like all the babies we love, too much time and stress (and money) has gone into it. I’ll leave it here, I’ll no doubt continue writing on it – maybe not every week, but it’s useful to write updates about TPS and previous programs that are still ticking over, so that I can refer people to them. This strategy was suggested to me by a completely different blogger. It is more or less what he’s doing after having the same experience as me. He’s a far more competent blogger than I am, but when I last spoke to him he said he hadn’t put up a blog post in weeks. In fact…. thinking about it…. at several of the blogs I visit to comment on, I’m hard-pressed to find a post I haven’t already commented on. Sounds like THEY’RE losing enthusiasm too. I truly hope you have had better results from blogging. But if anyone you know asks you to recommend a quick way to start a blog, perhaps you may like to spare them several months of hard work and point them at the Leased Ad Space program, with its free blog included for $7. Blogging varies from person to person depending upon his objectives. If someone has no any source of income he would obviously try to make fast money but getting huge traffic to impress the advertisers. To run a blog on long term basis to get regular income stream one needs to build his blog community to guide it with high quality solutions that obviously no where in the world are available for free. Your formula of starting a blog with least amount and then go for taking it to next level is just amazing. Many thanks for sharing such a wonderful post. Because I no longer feel that my blog can become a viable income stream, I think it’s just best to cut out all the non-income-producing strategies associated with it. After several years, working very hard, it’s not paying its way! For a career blogger, WordPress is the way to go – but for me, just looking for a part-time income, I think the blogging route is too circuitous. Being a Blogger is easy in modern era, all your need to do is start a new Blog and start writing. Lots of people try to earn money online but very few gets success. One of the best ways of earning online is blogging. Blogging is one of the best career opportunity these days. Blogging needs lots of hard work, research and long working hours. To become a successful blogger You need a good communication skills to have good and healthy impact on your readers or clients. Eventually, thanks for sharing your best experience with us. Well, I am earning money online – but not because of blogging (much as I would have liked to). I feel my communication skills are “not bad” and I have worked for long hours on my blog – but it hasn’t generated any income, whereas other activities have. There are far better bloggers than me “out there”. I know some are very successful, but I fear they’re the tip of the iceberg. Hi Joy, I have to agree with you, blogging in itself is not a great earner, and any list you build from your blog also does not earn a stack of cash. But for me my blog is a passion and it has led to greater things. I guess what I’m saying is that, although I have enjoyed many aspects of blogging, it’s now starting to take time away from more profit-producing activities. I’m genuinely pleased it’s led to better things for you. I’ve found better things – but not through blogging, sadly. I wish it had been. I also wrote a blog post about the same but with 12 dollars. Although, it is good post for the beginners. Interested to hear that you’ve had similar thoughts about blogging for beginners! Haha – well as a Yorkshire lass, I really can’t do, or take, BS. I know there are other measures of success than income…. 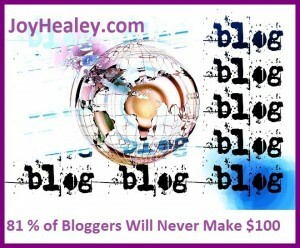 but “make money blogging” was my original goal, and it’s not happening! I’m glad you “didn’t dance” and perpetuate the myth – although I have to say I love your blog and always find it interesting to visit. But some of the blogs I visit – excellent though they are in their own right – are just not for me and I can’t find meaningful comments to make on posts – and neither can they on mine. This whole thing has really been brought to a head by the fact that I’ve had to (wanted to!) spend time supporting my Dad in hospital, and my blog has been an unproductive nuisance, taking time away from TPS, the business that IS working. Hello Joy! Wow girlfriend you are really spilling it huh? I cannot say that I am not making money from my blog as this so where I share a lot of tips and tools with my team. And this is the place U send my list to when I have something I would like to share with them such as a video or a free gift. I believe if you really think about it you have probably had the same experiences as myself. This past week I shared a post on branding and it brought in some new people who asked for a 15 minute phone consultation with me. Now I am not saying these people jumped right in and joined my team this week.. BUT they are now on my list and I can continue to share more and more with them. Haha – well to tell you a secret, I scheduled that post a while ago and probably meant to tone it down a little before I published it. Then a family crisis hit me, I had to travel to visit my Dad in hospital, and lo and behold WordPress faithfully published my rant. I’m really pleased that you’re making money from your blog because I know how hard you work. 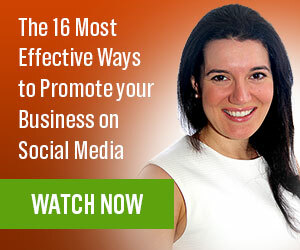 However your business is probably one that does relate to blogging and sharing tips with your team. At the moment I’m just failing to see how my blog can help me in TPS. I guess I can keep posting updates about it, but I’m feeling that I’ve written enough about it that if people wanted to join they would have. I only need three upgraded people in my team to take me right to the top of the compensation plan and I’ve got those 3 (and several more). February with TPS has been the highest earning month I’ve had online in five years (apart from with Premier Cashback) and not a cent of it has come from blogging. Hi Joy, I appreciate you telling it like it is and sharing your experience. Too many people get discouraged because their blogging efforts aren’t earning them a full-time living. But the “gooroos” keep telling them to have a blog. In truth, I think that if you have something that works, it’s good to keep doing that and if you have something that doesn’t work and you keep doing it anyways, that’s a choice you have to make. I honestly think that it’s better to stop doing it if your heart’s not in it, because that will come across to people and it will hurt you more than help in the long run. One thing I thought of while reading your post is something that one of my mentors always reminds us… Blogging is not a business model. 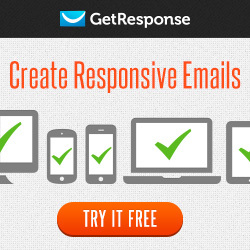 It’s a marketing tool for your business. I think a lot of people forget that, or maybe they never realized it in the first place. Your comment about blogging being a marketing tool is a good one and was a helpful reminder. I never expected to earn a full time living from blogging, but my blog hasn’t been at all helpful for my TPS business. I suppose it’s been a place where I can write about TPS, to refer people to….. but we have such excellent promotional materials it’s almost like reinventing the wheel! By the way – so sorry you have had such difficulty commenting until now. Just another of several mysteries behind my current frustrations. Hi Joy, thanks for this expository post. One thing most coaches don’t tell newbie bloggers is the fact that blogging takes a lot of time, and that making money through it doesn’t come overnight. A lot of people have stopped updating their blogs since it didn’t give them the financial outcome they want. However, blogging is a way to build your online presence , and position yourself as an expert in your niche which may ultimately pay off later. I am not making money yet on my blog, but it is promoting my brand and connecting me with great people online. I’m just feeling that after 286 posts, since starting this blog in September 2012, it may be time to divert the hours spent on my blog to the activities in TPS that have been far more productive over just the last 4 months. Seeing so many other people not updating their blogs regularly has just fed the feeling that it’s not just me. I’ve gained a better positioning in TPS working it on Facebook for 4 months than I have in 4 years of blogging, and now those people are locked to me as customers, so the Facebook side of it then becomes irrelevant. No-one who’s doing well in TPS seems remotely interested in blogging as a promotion method. Perhaps this is just a temporary frustration and I’ll continue using it for writing about TPS, because I was never under the illusion that blogging would be a big “earner”. I have to hand it to you Joy for being honest with yourself as well as your readers. It is so true that blogging isn’t for everyone! I’ve been blogging for over 7 years and I absolutely LOVE it and can’t imagine not doing it, but as you’ve pointed out it really depends on your purpose and goals. Taking time to clarify that in the beginning will save a lot of time and headaches. I wish you all the best! 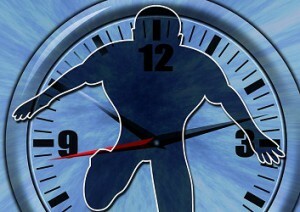 Although I’ve enjoyed the writing aspects of my blog, what has really dragged me down are the technical complications. 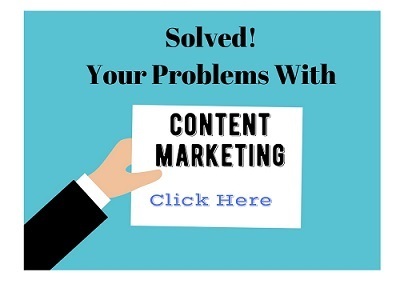 It seems as soon as I fix one problem another arises – which wouldn’t be so bad if I were seeing an upward trend in business generated by blogging. I’ll admit to having had a few twists and turns in my purpose and goals, but I’v learned and moved forward from each one. I just wonder if this marks the beginning of a new route. It seems crazy not to put my efforts into what IS working for me. However, I’ll continue with posts about TPS products at least until my current hosting term is finished. It’s got a few more months to run, so no need to make a hasty decision. Hi Joy, I’m sorry to hear that blogging hasn’t worked for you (yet). It took three years of daily blogging, and 700 visitors a week before we hit the “big time”. It took 6 weeks to generate a customer, and that’s how you grow a business; one customer at a time. Given that I’ve got internationally renowned sites and earned a good living from blogging, I don’t look the part of a successful blogger. I regularly get blogging consultants email and ask for a call and have them go on and on and on… and on… about the things I can do to be successful. And that’s the thing, success is different to each of us. But blogging brought me here to your site today. We’ve had a conversation. You’ve touched my life in a positive way. Is this not the success that we truly want? To know that we meant something, to someone? Being a part-time blogger I certainly haven’t worked as hard as you have and I suppose part of my problem is that my “definition of success” has changed several times along the path. To me that’s not a bad thing because I have learned something every time. I never set out to have a career as a blogger; to be honest I didn’t even know what a blog was, six years ago before I got started online. I just wanted a second income from an online business, and was quickly told that an important part of doing that was having a blog – which I understand completely for many businesses. Having now found an online business that’s working for me – and done it without using my blog – I was musing as to whether all the angst experienced getting my blog to this stage had been worthwhile. And more to the point, whether I’d be better just building on what HAS worked for me instead. However, you are right – I have “met” some wonderful people through blogging and if, on the way, I have helped any of them to avoid the mistakes I have made in my journey, then that is a good way to feel about my blog. I have been blogging for so long and it’s my passion to write. Starting a blog to advertise is a great idea. Even I thought about it once but unfortunately, TPS isn’t launched in my country. But I will give it a try for sure. Because TPS is not yet launched in your country that is EXACTLY why you should be looking at it NOW and building a team – before everyone and their dog is in it. The other point is that once you have verified your ID with TPS, the company starts building you a downline from the members that join after you and when you qualify (not needed until your country is open) you will earn a portion of the spend of those members. I have had almost 9,000 members placed in my downline in about 4 months. That matrix grows daily and I’m earning on them daily, even though the UK isn’t open yet. I understand how you feel and your blogging strategy was to make a second income which did not go well. The reason for Blogging varies for each individual. I think your blog is awesome because you write with so much honesty. 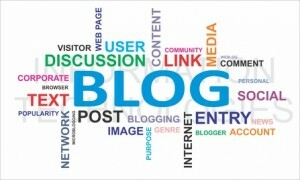 Blogs have become more like a precious gem to readers. You might not feel successful but there are people who have benefited from this blog in ways you never imagined. It’s good to feel that my honesty has been helpful! Sometimes I was so cross about all the BS I read about how “everyone is making great money online” that I had to question it – and I’m now beginning to realise that I’m not the only one who has found it difficult. Hi Joy. You made a great decision on focusing more of your time into something that makes you happy and helps you earn more. Had been in your situation too before where all I do was blog and got nothing from it. And then I shifted my focus like what you did. Shifting my focus more to TPS has been a good decision. Also, because I’ve had some tough times personally, it’s been a life-saver, because I just couldn’t keep up with everything – and TPS is paying better than blogging. So the shift was a no-brainer really. I think starting a blog and then growing it is a really great personal development exercise. That’s a good point about personal development. Although again, an argument as to why a cheap blog might be the solution rather than the fully hosted blog platform that’s essential for career bloggers.